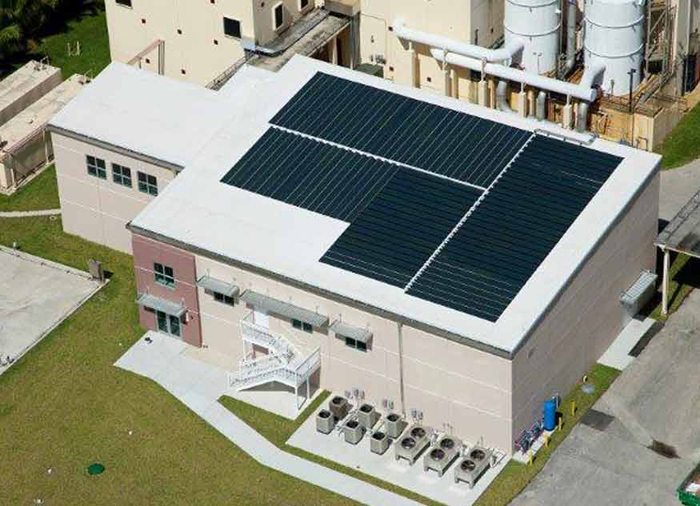 The Energy Efficiency Team Center (EETC) is located in the City of Plantation, Florida. The site was previously an existing 8,200 SF administrative building and water treatment plant. 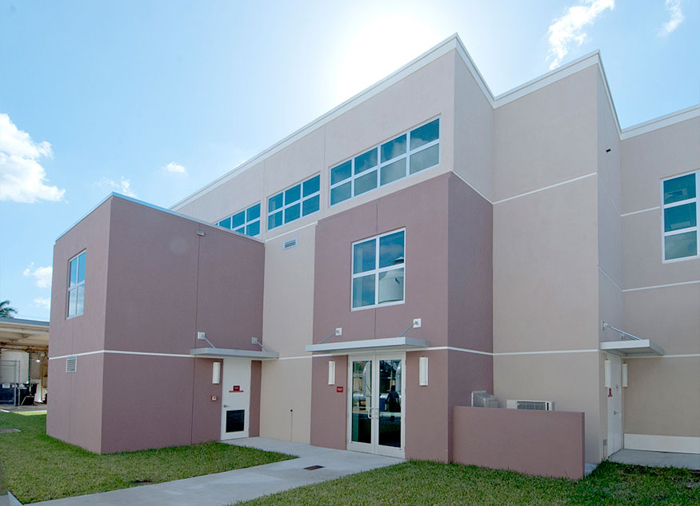 The city’s vision was to demolish a portion of the existing structure and renovate the interiors, as well as include a 3,596 SF addition to accommodate the city’s growing administrative needs. The new EETC is 11,796 SF divided into two floors. A 5,898 SF first floor is comprised of separate public and staff entrances, electrical room, and storage areas. The second floor is a 5,898 SF split level plan similar to the first floor. 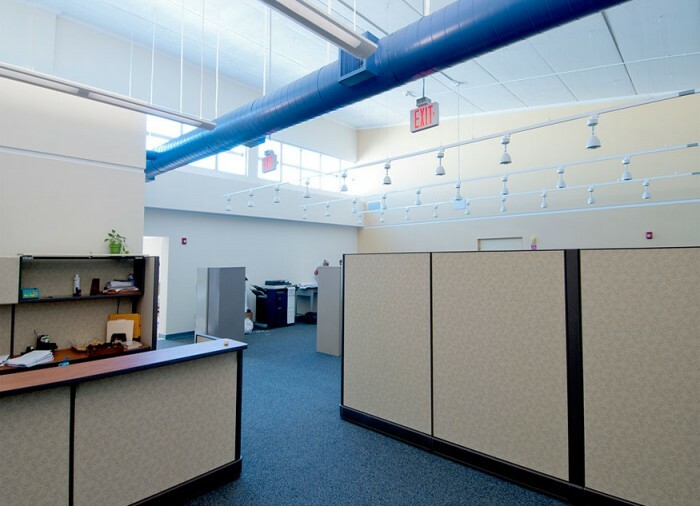 The lower level hosts the waiting and reception areas, general office space, break room, four private staff offices, copy/plan room and large IT data center boasting its own climate control system. 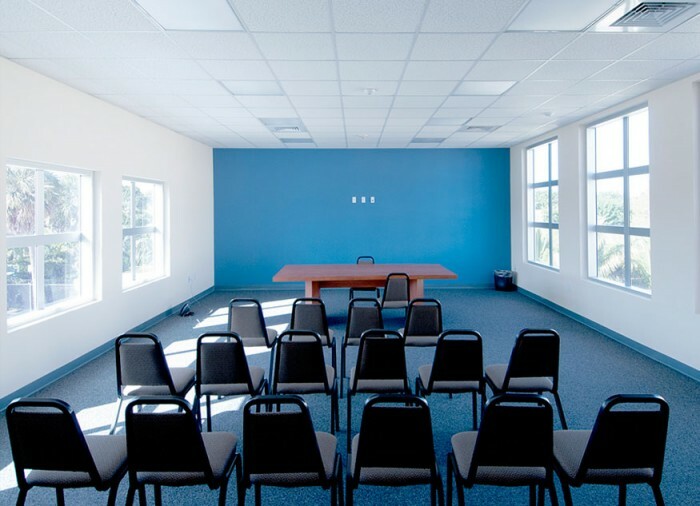 The upper level of the second floor hosts a large conference area and staff lounge. Designed to be a model of sustainability and efficiency, the building will provide 80% of its own power requirement via a flexible lightweight laminated photovoltaic solar collection system. By leveraging the surface area of the entire roof, these photovoltaic cells and attached inverter will power interior and exterior LED lighting with photo sensors and dimmers to minimize electrical requirements. 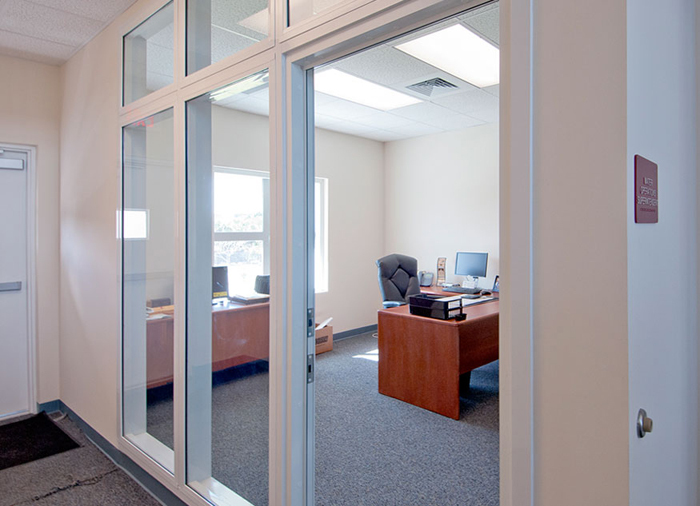 North-facing windows allow natural daylight to flood the interiors reducing power consumption while the 22 SEER humidity controlled high efficiency A/C unit (divided into multiple zones) add to the comfort of the workspace. To maximize sustainability the roof is designed around a water reclamation system that diverts captured rainwater into two 1,500 GL underground cisterns. These cisterns provide water closets and urinals with reclaimed water in lieu of using potable water. Any remaining rain water will be redistributed for use in the irrigation of the properties lush landscapes. These trees and landscaping will provide a vibrant and beautiful backdrop for the open greenspace that both the public and staff of the city will enjoy.